Who wouldn't want to be the latest member of the PAW patrol? Tracker drives a jeep and to top it off has incredible hearing. The Tracker Child Costume includes a jumpsuit, hat, and pup pack. 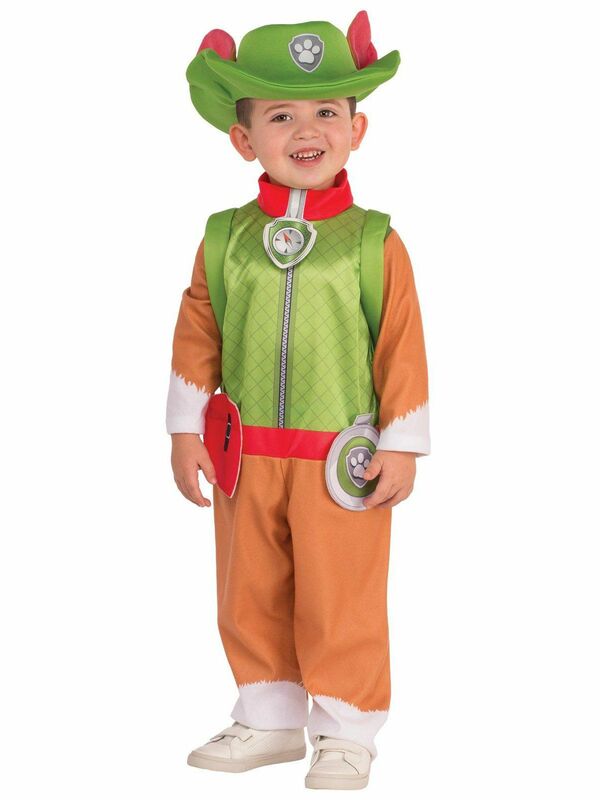 This is an officially licensed PAW Patrol costume. Who doesn't want their kids to be dressed up as the most adorable cartoon characters? Let your kid enjoy his favorite cartoon characters costumes from Paw Patrol theme. Marshall, Chase, Rubble, Skye, Tracker and Everest are here with rescue plan on Adventure Bay. Boys always look for adventures in party outfits as well. Be your kid's hero and select special costume for him this year. Your search for a perfect Halloween costume comes to an end with our PAW Patrol : Tracker Child costume.